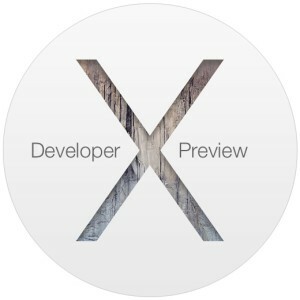 OS X Yosemite Developer Preview 3 has been released by Apple to all developers running current beta builds of OS X Yosemite, the next major version of Mac OS. The new build number of OS X 10.10 beta is versioned as 14A283o and will run on all compatible Macs. The simplest way for Mac developers to get OS X Yosemite Developer Preview 3 is to update through the Mac App Store, accessible from the  Apple menu > Software Update. The update weighs in around 1.1GB. Registered Mac developers can also choose to download the complete installer from the Mac Dev Center and App Store. The current Developer Preview builds are limited to those who have registered specifically with Apple’s development programs, but Apple is expected to have a public beta for OS X Yosemite in the coming months for users who have opted-in and are interested in participating. Running OS X Yosemite Developer Preview is best reserved for development hardware that is not intended for daily usage, though installing OS X Yosemite to a partition and dual booting their Mac does work just fine, as does choosing to install Yosemite onto an external drive and booting it outside of their primary stable Mac OS X installation. OS X Yosemite will be released this fall and include many new features, enhanced cross-platform support for switching between iOS to Mac, and an all new restyled user interface. Separately, developers enrolled in the Apple mobile iOS Developer Program can also now update to iOS 8 beta 3 through the Software Update mechanism. I partitioned one of the drives in my MacBook Pro and installed Yosemite on it. I really enjoy it. It’s very stable and snappy. I’m looking forward to the full release in the Fall. The Calculator App in Yosemite does fell snappier. Dark Mode in this Yosemite so far is really a let down, it’s not inclusive enough and the windows are still way too bright. Having a dark menu bar is something you can do right now with a variety of free apps like Obsidian… this can’t be complete. It’s the 3rd beta preview. Let’s give this some time. Sure, you can install hacks to get a darker menu bar, but I would prefer to have one provided by Apple so that software updates don’t break the hack. Also, these hacks aren’t put through the same testing that Apple would perform. I’m liking the progress so far. I tested out Dark Mode, and it works pretty well. I tested it against different wallpapers, and the darker menu bar looks great against lighter wallpapers. My only problem with this beta, and the one before it is that it’s a pain in the arse to upgrade on my late 2013 MacBook Pro w/retina display. I read some forums in which some of the people posted that they had the same problem that I’ve had. After the update is downloaded, and the system reboots, it almost immediately kernel panics. Luckily, my test drive is an SSD USB3 external drive, so I was able to connect it to my Mac mini, and do the update. Very odd. Obviously, this isn’t the intended behavior, so hopefully Apple will fix this before the next beta. Did you try a clean Yosemite install on the Retina MBP? It shouldn’t kernel panic at all. You can’t download the complete beta 3, so the only choice I have is to run the normal software updates. I even downloaded the delta update, and that resulted in the same issue. Fortunately, I cloned the test drive before I tried to install beta 3. I was able to revert back, and then upgrade with the drive attached to my Mac mini. This is happening to a lot of other people with 2013 MBPs. I appreciate the suggestion, but there doesn’t seem to be a “fix”. It’s beta anyway, so I really can’t gripe about it. I wonder when they’ll release the public beta? When all major bugs and stability issues are gone. Usually when they do the public beta they’re looking for small bugs and glitches. If you don’t like Yosemite’s look like me, here’s what I did. I enabled dark mode, turned off transparency and then used cDock. I used the premade “dark” dock in cDock. Strangely, on my mba, this version is slower, more unstable and with more bugs than the previous version.